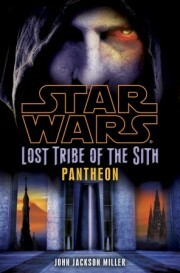 Faraway Press: The Online Home of John Jackson Miller: Lost Tribe of the Sith Part 7: Pantheon now available! Lost Tribe of the Sith Part 7: Pantheon now available! The seventh episode of the Star Wars: Lost Tribe of the Sith series, Pantheon, is now available for download as a PDF from Random House's Suvudu site. I expect there will be a main posting at the Star Wars site and postings at Amazon and the other services; keep checking! See everyone at San Diego! I believe there is a small mistake in the book. The excerpt from Christie Golden's novel (page 32) is said to be "Fate of the Jedi: Pantheon" while on the page header it's written "Fate of the Jedi Ascension". That being said, I really liked the book. Great job! So, Amazon says it is not available in the US due to copyright restrictions.